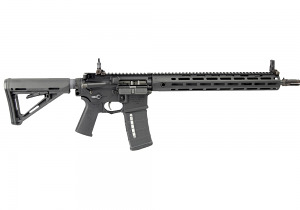 Known for being the final company Eugene Stoner worked for, the SR-15 is the pinnacle of the AR15 platform. Prior to his death, Knights Armament worked concurrently with Stoner in developing the SR-15. As such, the SR-15 is known as Eugene's final rifle and bears the Stoner name on the gun as testament to his influence. 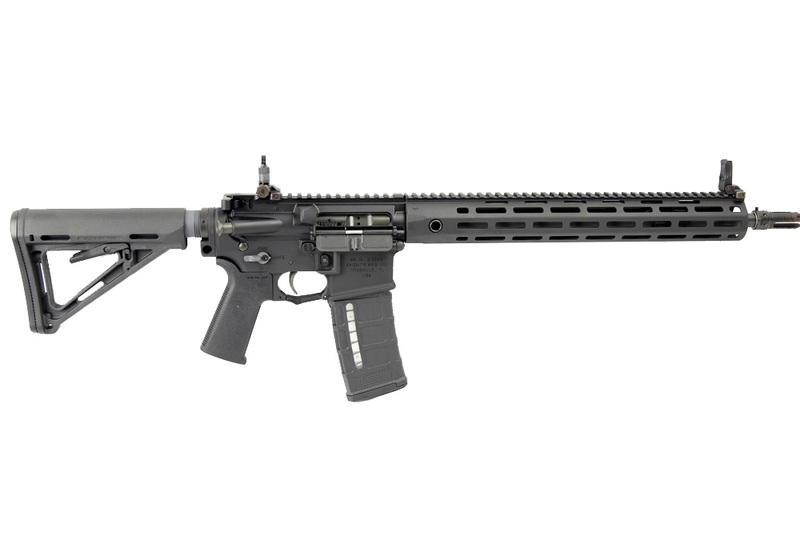 In its latest evolution, the Mod 2, the SR-15 takes the AR platform to the next level with a proprietary midlength gas system that increases reliability, durability, and reduces felt recoil, an improved E3 bolt with rounded bolt lugs for reduced friction and far superior bolt life compared to conventional AR-15 bolts, hammer forged chrome-lined barrel, fully ambidextrous controls, 2-stage match trigger, 3 prong QDC flash hider that is compatible with QDC suppressors, lightweight URX4 M-LOK rail system, low profile folding 200-600 meter sights and Magpul stock and grip. In addition, the Mod 2 gas system minimizes leakage and ensures more consistent operation in the harshest conditions. If you are looking for a top of the line do it all rifle, look no further. Comes with hard plastic case, (1) 30RD magazine, quick detach sling swivels, M-LOK rail covers for the M-LOK rail system.